Hindu men and women wait to bathe in the holy Ganges river in India. 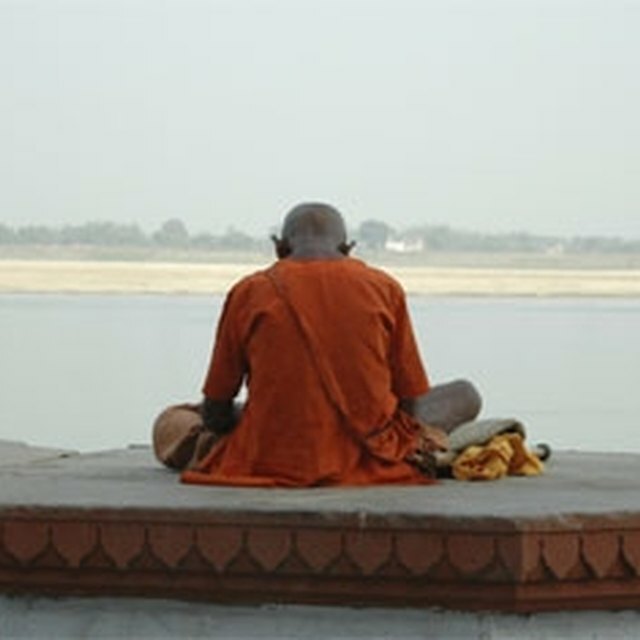 Samdhya is a Hindu ritual of worship and meditation performed two to three times a day. The morning rituals generally consist of bathing, recitation of prayers and mantras, prayer and offerings to the Sun, and marking of the forehead. Hindus believe that adherence to a series of daily morning and evening rituals will find them favor in life and will purify them for communion with God. Washing is combined with breath control (pranayama). There are specific ways of washing. 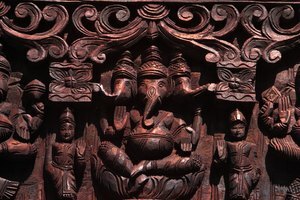 Certain fingers or the thumb of the right hand must be used, and each of the fingers, as well as parts of the hand, are assigned to represent individual deities. The following is a prayer for purification of the mind: Govindethi sada snanam Govindethi sada japam, Govindethi sada dhyanam, sada Govinda keerthanam. Translation: Meditate on Govinda while taking a bath, Meditate on him in your prayers, Meditate on him while thinking of God, And always sing his name. The prayer has been translated in a myriad of ways, but all pare down to the same general meaning. Translated by Hindu sage Swami Vivekananda, it simply states: We meditate on the glory of that Being who has produced this universe; may He enlighten our minds. Prayers are followed by tarpana, or offerings to the gods. 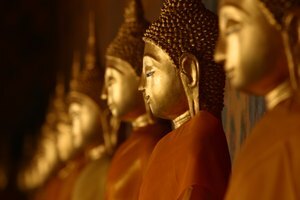 Specific hand gestures must be used, which are different for each deity. Steps 11-14: Applying a sign of caste or sect (tilak) on the forehead is a final part of the morning ritual. Usually these are self-applied but can also be applied by a Brahmin (priest) at temple after worship. On a man, the tilak will be in the form of lines. Vertical signs made of sandalwood paste (chandan) indicate a devotion to Hindu god Vishnu. Devotees of Shiva apply horizontal lines made from sacred ashes (bhasma). 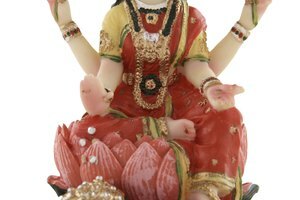 Those who worship the goddess Shakti apply a red powder made from turmeric (kumkum). Traditionally, a married woman will wear a bindi (dot), which is a symbol of feminine power. The tilak is placed between the eyebrows, in the location of the “third eye”, where one must focus attention during meditation. 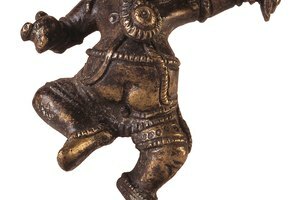 Finally one must practice nyasa, the practice of reciting a specific mantra during physical postures, in order to awaken the deity that presides in those parts of the body. Dexter, Hollye. "Daily Morning Ritual in Hinduism." 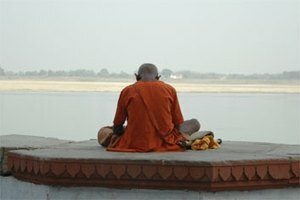 Synonym, https://classroom.synonym.com/daily-morning-ritual-in-hinduism-12087726.html. 29 September 2017.